If you're one of the people who commutes to Washington, and you have studded tires on your vehicle, you get a couple extra days to take them off. Due to the threat of more severe winter weather forecast for the Cascade mountain range, Washington State Department of Transportation officials today extended the deadline to remove studded tires through April 10. Washington State Patrol troopers enforce a $124 fine for those who use studded tires after the deadline. Stormwater work will impact traffic for the next two weeks at the intersection of Howard and Kathleen in Coeur d'Alene as crews work on sidewalks and swale repairs. Drivers can expect delays and lane closures. One lane each on northbound Howard and eastbound Kathleen will be closed from 7:00 a.m. to 2:00 p.m. daily. The Idaho House yesterday voted in favor of SB 1427 yesterday, the $12 million GARVEE bonding measure for next year. Frank Henderson, Republican representative from Post Falls, was the bill’s House sponsor. He noted that GARVEE bond debt service is just 17% of the federal highway allocations Idaho is receiving; the bonds are a provision that allow states to borrow against their future federal highway allocations. The bill now goes to Governor Butch Otter. The Idaho House adjourned late last night without passing a bill to ban texting while driving. The House refused to go along with Senate amendments to a last-minute House bill that replaced the earlier Senate bill. Representative Raul Labrador, R-Eagle, objected to a call to suspend rules and allow the immediate consideration of the amended texting-while-driving bill, which then led to the bill being killed in the final moments of this year’s legislative session. Labrador says Idaho already has an inattentive driving law, and texting while driving is inattentive driving, so therefore is already a crime in the state. Unlike any other bill this session, the texting measure drew support from young people across the state, who signed petitions and turned out en masse for hours-long hearings, supporting the bill. The KMPO Board meeting is this Thursday, April 1. Here's a look at the agenda. If you see something on there that catches your interest, feel free to attend the meeting, the public is welcome at all KMPO meetings. The meetings are held at Post Falls City Council Chambers, in Post Falls City Hall at 408 N. Spokane Street. Idaho's House introduced and passed legislation on Friday to make texting while driving a misdemeanor. The measure would replace tougher legislation previously passed by the state Senate. Here are the details from the Spokesman-Review. 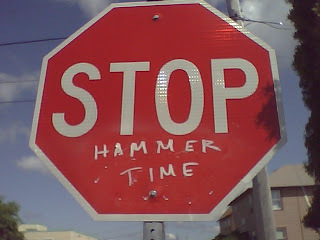 Thanks to Holly for sending me this little tribute to MC Hammer. This is on a stop sign near downtown Olympia. And after seeing that picture above, Chris at J-U-B Engineers sent me this companion sign. Thanks Chris! Who'd of thought there were that many people who remember the lyrics from a song that came out in the 1990's? A meeting last night to determine what to do with McEuen Field in Coeur d'Alene turned up lots of ideas, ranging from including walking trails, public art, and open green space to athletic fields and parking spaces. Here's a recap of the meeting from the Coeur d'Alene Press. Beginning Monday, March 29, Coeur d'Alene's Wastewater Department will be working at the intersection of Margaret Avenue & Troy Street. Troy Street will be closed at Margaret through Wednesday. Bills aimed at protecting bicyclists appear aren't faring well in the Senate. Sen. Elliot Werk (D-Boise) says two of his measures - one requiring cars to give cyclists three feet when passing, the other to punish people who harass cyclists - will die without a Senate vote. Olympic gold medal cyclist Kristin Armstrong was championing the measures, but the trucking industry raised objections to the three-foot rule, in particular on winding roads that have a lot of logging traffic. There were seven fatal bicycle accidents in Idaho in 2009. One issue we've been working on in North Idaho over the past several years is getting lower income folks to jobs and services they require. Citylink has been a huge help in this effort, but there are still a lot of people living in suburban areas that don't have any form of transportation. Often they live in these areas because housing is cheaper. A new study says this move outward to find affordable homes not only contributes to sprawl, traffic and pollution; it actually costs more. Here's the information from KPLU Radio out of Tacoma. Can you tell what this is? It's really tiny so it's hard to tell, but that guy I circled there is a hitch hiker! That's right- he was moving in and out of traffic at I90 and Jefferson in Spokane at the top of the on ramp around 2:15 today. Staff in the Spokane Regional Transportation Management Center saw him on their monitors and alerted Washington State Patrol. Last I looked at the cameras, at 2:23 a trooper was talking to the hitch hiking suspect and hopefully removing him from the freeway. Bad idea dude. Check this picture out. This was the result of an accident at Orchard Avenue and Government Way yesterday, when a car actually drove up a power pole and got stuck on the wires from the pole. Here's how it happened, from the Coeur d'Alene Press and how the driver got out without more injuries. According to the Idaho Transportation Department, a holiday enforcement campaign caught a lot more than just impaired drivers. 61 law enforcement agencies participated in the DUI emphasis patrol over the Christmas/New Year's holiday, from Dec. 14 to Jan. 3. Mark your calendar, 'cause the next statewide impaired-driving enforcement campaign is March 12-22. Filled Out Your Census Form Yet? We were talking in the office the other day about the reaction some employees' spouses had to receiving their census forms. While some people think it's 'the man's' attempt at keeping them down, or none of the government's business who lives in their home, we at KMPO support the census and would like to point out that it's been happening in the U.S. since 1790. One thing to keep in mind is that actual records aren't released for 72 years after a census is taken, for privacy reasons. Now, the most recent year available is 1930. So, again, we ask that you fill out your census form because it helps us to determine transportation needs; if there are more roads needed in certain areas, a need for non-motorized transportation improvments, or even transit needs to be addressed. Our GIS department deals in-depth with census information everyday. Our GIS guy Kevin even attended the 'Census Roadshow' earlier this week. He got a headband there he's promised to wear to work one day, so I'll provide pictures when I can. In the meantime, he provided me this link in case you want to buy a VW van and follow the roadshow. Kevin also suggested this map that shows the rate of return on census forms, broken up by state and city. So far, Montana is in the lead, of all states. So come on Idahoans, start filling out those forms. We can do better than that. I blogged about a month ago about how 'animal underpasses' in the northwest appear to be working. Someone emailed me this picture of a wildlife bridge so I thought I'd throw it up here too as further testimonial as to how well these underpasses and bridges are working. This is the turn-off from Banff, Alberta, Canada. The area has a lot of deer, elk and moose and apparently a lot of collisions with wildlife before the animal bridge was built. The animals appear to have figured out the bridge is for them though and reports say a lot of them are using it. Seems like everyone has an idea what should be done with McEuen Field and Front Avenue in Coeur d'Alene. MIG, a land planning firm that worked on the Coeur d’Alene Parks Master Plan and the Education Corridor, wants to hear yours. MIG is hosting a workshop this Thursday, March 25 at 6 p.m. at the Lake City Senior Center to gather input on what to do with the park and road in front of it. The city is asking for citizens’ ideas on their favorite existing and possible future activities for McEuen Field. It will remain a public park and there may be improvements made to the park site. Front Avenue has been targeted for re-construction for the past several years and will be part of the larger McEuen project discussion. Everyone is welcome and encouraged to attend the meeting. So say you're in need of some transportation really bad and you're of the criminal element. Which car are you going to carjack? The one with the pitbull sitting inside or the one with no angry dog waiting to rip your throat out? Well, one western Washington carjacker made the wrong choice. Here's the story from the Seatlle PI. And thanks to Holly for sending it to me. Hey ladies- the Association of Pedestrian and Bicycle Professionals (APBP) wants to hear from you. APBP is interested in gathering input on transportation cycling issues through a survey targeting women and girls. - Studies show that women are less willing to take risks than men, meaning they require a fairly safe bike infrastructure before they'll consider riding. - Women also do most of the child care and household shopping, which means bike routes need to be organized around practical urban destinations to make a difference. So if you're a woman, please take this survey. It doesn't matter if you ride or not. It should only take about ten minutes. And when you're done, please pass it on to other women you know. Again, it doesn't matter if they are bicyclists or not. Here's a scary story; Some Texas car dealerships installed 'black boxes' on cars they sold that would allow commands to be sent to the cars after they're purchased. 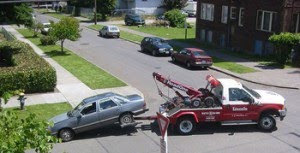 The system is used to disable a car's ignitition system or trigger the horn to begin honking if the owner happens to forget to make a payment. That's bad enough in my opinion, but it gets worse. A man laid off from the company that controls those boxes got revenge by hacking into the system and disabled or made the horns honk on dozens of cars. Here's what happened. New Idaho Transportation Department Director Brian Ness has a vision to improve the way ITD does business. Ness outlined the plan for the chairs of the Idaho Senate and House transportation committees on Wednesday, and received praise for the improvement some people say they've already seen at ITD recently. - ITD will strive to continually get better with the goal of being the best transportation department in the country. - ITD is transparent, accountable and delivers on its promises. - ITD seeks to be more effective and to save costs through increased efficiencies. - ITD provides extraordinary customer service. 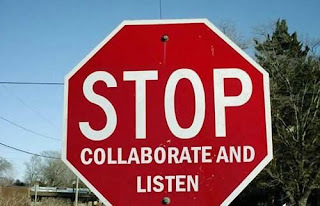 - ITD uses partnerships effectively. - ITD values teamwork and uses it as a tool to improve. - ITD places a high value on its employees and their development. Steps to accomplish certain initiatives have already been taken, including implementation of the legislative audit, development of performance measures and creation of employee teams. The Senate has voted to accept an $18 billion version of the jobs bill, and sent it on to President Obama to approve. The bill is aimed at relieving high unemployment rates and includes a one-year extension of the law governing federal transportation funding, and would transfer $20 billion into the highway trust fund. Here are the details from the Washington Post. Idaho’s bus riders have a new online source for real-time transit information. '511 Transit' is a new enhancement to the state’s 511 Traveler’s Services System. The new 511 Transit system will provide online schedule and route information for Citylink (Kootenai and Benewah counties), START Bus (Teton County), Pocatello Regional Transit and Northwestern Trailways. During coming months, the system will expand when seven additional transit providers will be added. - Tracking transit activity, including bus locations, system delays and current schedules through an interactive Web interface. 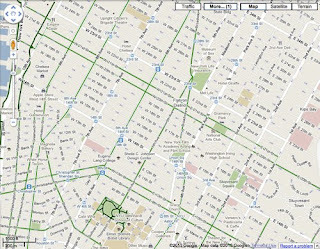 - Maintaining access to transit system information like bus routes and stops. - Accessing regular updates to notifications of route changes and bus delays. A reminder from the Idaho Department of Transportation to make the right choice and not drive impaired if you're out celebrating St. Patrick's Day tonight. Statewide, an impaired driving enforcement campaign is underway through March 22. ITD's Office of Highway Operations and Safety works to reduce deaths and injuries from traffic crashes by utilizing federal funds to address dangerous driving behaviors. This effort is part of the department's commitment to achieve a goal of zero deaths on Idaho's highways. You can expect minor delays at US 95's intersection with Lancaster and Betz roads on Thursday. Avista Utilities will be continuing to relocate a transmission line along the highway. Crews will be pulling a transmission line across 95 from 9-11 a.m. Traffic on 95 will be stopped for 2-3 minute intervals, approximately three times. Traffic on Lancaster and Bentz also will be affected. The transmission line is located north of Hayden on state right-of-way, which is part of the U.S. 95 Wyoming to Idaho 53 highway widening known locally as "the Gap" project. The $6 million project will widen approximately two miles of U.S. 95 to four lanes. This Coeur d'Alene Press article is a really touching story of how the gift of transportation helped one Post Falls veteran in a huge way. Toyota Motor Corporation dismissed the story of a man who claimed his Prius sped out of control on the California freeway, saying Monday that tests found the car’s gas pedal and backup safety system were working just fine. The automaker says James Sikes' account of what happened with the car did not square with a series of tests it conducted on the gas-electric hybrid. Here's an article from the Spokesman-Review. This article says that Toyota didn't go so far as to call Sikes' incident a 'hoax,' but Forbes Magazine isn't being so diplomatic. This article from the magazine alleges that Sikes may not have done everything in his power to stop the car and that he may be less than a reputable person. Read it and let me know what you think. On the one hand, I've thought all along that a lot of this might be media hysteria, but on the other hand I didn't care because I've been looking for a Toyota for a long time that I can afford and couldn't find one. This may change that. Five people were injured last night in a rollover accident on North Idaho Road near Hayden Avenue. An SUV was headed south carrying six occupants when the driver lost control and rolled the vehicle into a field on the west side of the road. Three people were ejected. Five people were taken to the hospital. None of the injuries are believed to be life threatening. The victims or driver have not been identified at this time. The Kootenai County Sheriff's Office is investigating the crash. Amazingly enough, I couldn't find a picture of it anywhere on the internet, but according to the Associated Press, The most frequently stolen street sign in Green Bay, Wisconsin isn't Lombardi Avenue, Reggie White Way or Brett Favre Pass. The distinction goes to a street by the name of 'Mullet Place.' That's right, the long and short of this street is that it's business up front and fun in the back. The Mullet Place sign has disappeared so many times that city crews have moved it higher on the street pole so it's not so easy to reach. So, for lack of a picture of the sign, here is a picture of an actual mullet. After that guy in California had his Toyota go haywire on him, it seems like a lot of people are freaking out over the possibility that their Toyota could go all Hal (you know, from Space Odyssey) on them. Seems to me that a lot of it is hysteria, but here's my public service of the day: this YouTube video from ABC News shows you just how to stop your car if your accelerator gets stuck. Legal disclaimer: do not try this at home unless your accelerator actually gets stuck. And in the case that you are injured while performing one of these measures, SRTC is not responsible for any insurance bills or litigation expenses. Looking for a carpool to join or someone to share your commute with? Ride matching just got more efficient in Idaho, with the launch of a new RideshareOnline.com website. More than 1,230 Idahoans currently use the rideshare website. A U.S. Forest Sevice study says Kootenai County could benefit from hundreds of thousands more trees- including street trees. Why do I mention this on a transportation blog? Because the study says that trees can prolong the life of our roads and help reduce carbon monoxide pollution, a major cause of which is motor vehicles. The study also cited many other advantages of increasing the urban forest. A warning if you're planning to head to Spokane tomorrow for the annual St. Patrick's Day parade and to partake in some green beer-drinking; BRING A DESIGNATED DRIVER! Area law enforcement offices have banned together for emphasis patrols this weekend that will target impaired drivers. The Spokane County Sheriff’s Office, Spokane Police Department, Spokane Valley Police Department, Cheney Police Department, EWU Police Department, Washington State Patrol, Liberty Lake Police Department and the City of Airway Heights Police Department will be participating in the extra emphasis patrols. That's a lot of cops between Stateline and downtown Spokane so drive safely. In an effort to best utilize Coeur d'Alene's police resources, the City may give COPS (Citizens on Patrol) volunteers the authority to ticket drivers who park illegally. 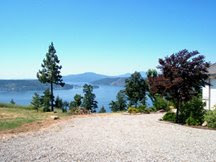 The request goes before the Coeur D'Alene City Council next week. Here's the story from KHQ. Sorry- I'm a little late on this: The northbound lane of Government Way at Garden Street will be closed this morning so that Avista can trim trees in the area. A detour sends traffic east at Garden, north on 1st, west on Foster, and north on Government Way. The closure is expected to last one day only. Well here's something we haven't seen in a while- snow causing travel delays. This is a picture of Snoqualmie Pass taken around 9 this morning. Snow falling there has caused some slick roads and the temporary closure of the eastbound lanes. Chains are required on all vehicles eastbound, escept all-wheel drive vehicles, and on westbound trucks. Traction tires are being required for passenger vehicles westbound. Forecasters are calling for accumulations of 6 to 8 inches of snow in the area today. If you're headed that way, here's a link to the Washington State Department of Transportation live traffic cameras so you can monitor conditions on the pass. Google is adding bicycling directions to it's mapping service. It previously only provided directions for drivers and pedestrians. Starting yesterday though, Google will help you get where you're going on your bike by recommending routes, steering you away from big hills and heavily congested streets and pinpointing bike lanes, trails and paths. Ryan, the designated KMPO mountain biking enthusiast, played around with it a little yesterrday. He says it works for Spokane, but in his words, it's 'a little clunky, still in beta.' He checked one of his favorite ride routes and found that the Google directions led him right off a cliff! Oh well, it's early yet, I'm sure they'll work out that little kink. - A dotted green line means it's not an official bike lane or trail, but is probably suitable for biking based on terrain, traffic, and intersections. Now that Ryan's done the dirty work for us, try it out yourself and let me know what you think. You've heard it on TV and the radio, and now you're going to hear it from me; when you get that form from the U.S. Census, PLEASE fill it out. SRTC uses the information that you provide to help us determine transportation needs for the future. In particular, we use the housing unit count to determine how many people are living in each area, so we can look at the roads going in and out of those areas to see if they're adequate for the amount of people using them. We also use a lot of other information that the census provides. And, census data helps determine how tax money will be spent. More than $400 billion is distributed to state, local and tribal areas every year, based on census numbers. So, make sure our community gets its fair share by being counted in this year's Census. If you're really into the census, here's the official website for more information. And just an FYI, April 1 is 'National 2010 Census Day,' the day you're supposed to have your census forms mailed back in order to avoid a visit by an actual census taker. We haven't determined yet what kind of activities we'll be doing here at KMPO to celebrate National 2010 Census Day, but our GIS guy Kevin has already stated for the record that he'll wear some sort of headband to show his support. I'll try to post pictures. A Future Where Cars Talk To Traffic Signals?? potential environmental impacts of their choices. If you can imagine that, you've just imagined 'IntelliDrive,' a multimodal initiative that aims to enable safe, interoperable networked wireless communications among vehicles, the infrastructure, and passengers' personal communications devices. IntelliDriveSM research is being sponsored by the U.S. Department of Transportation (USDOT) and others to leverage the potential capabilities of wireless technology to make surface transportation safer, smarter and greener. A Coeur d’Alene woman is in critical condition this morning after rolling her car on Interstate 90 near Liberty Lake last night. Jessica M. Derosie, 20, was headed east on I-90 when her car headed left off the freeway, going through a cable barrier into the median and then rolling. 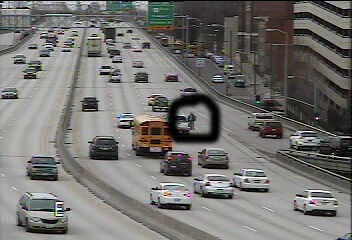 Derosie was not wearing a seat belt and was ejected. I-90 was closed so that Derosie could be transported by helicopter to the hospital. Troopers said the accident was caused by excessive speed, not drugs or alcohol. So slow the heck down out there. 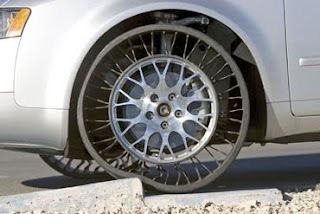 Someone sent me an email showing this new tire that Michelin allegedly developed called the 'Tweel Airless Tire.' I thought it was kind of interesting so looked it up to see what else I could find out about it. - It doesn't require a wheel, because it's a combination of a tire and a wheel (hence the name). - The 'spokes' absorb road impacts the same way air pressure does in pneumatic tires. - Michelin says they won't be releasing the Tweel to the general public anytime soon, so you can put away your money. If you're still curious about it though, here's an article on the Tweel, from the 'How Things Work' website. Oh those crazy politicians. A squabble between lawmakers nearly killed a highway bonding program on Friday. It took four votes for the Joint Finance-Appropriations Committee to agree to a $12 million statewide bonding program for road construction projects next year. Unfortunately, the approved plan doesn't include funding for the Garwood-to-Sagle project on Highway 95 between Coeur d'Alene and Sandpoint. Here's are the details of the bond program. You can expect minor delays tomorrow at the intersection of US 95 and Lancaster Road. Avista will be relocating a transmission line in that area from 9-11 a.m. Traffic on 95 will be stopped for 2-3 minute intervals, approximately three times. Traffic on Lancaster Road also will be affected. I'm probably the last person left who isn't opposed to child labor, but even I think this is ridiculous; an air traffic controller at Kennedy Airport was suspended after his young children were allowed to give radio instructions to pilots. Hello- one of the busiest airports in the country and this guy is getting his kid to do his work for him?? Not to mention the safety factor. I hear a lot of grumbling about how our area has to be one of the least safe places for walking or bicycling. But you'd be wrong if you thought that. Federal statistics now show that Florida is the deadliest state for pedestrians and bicyclists. In 2008, 11.1% of pedestrians and 17.4% of bicyclists killed in the U.S. died in Florida, which has 6% of the nation's population. Here are more statistics from USA Today, plus a really cool interactive map that shows you stats for each state when you put your cursor over it. Yesterday, U.S. Representative Earl Blumenauer of Oregon introduced H.R. 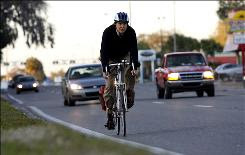 4722, the Active Community Transportation Act of 2010 (or ACT Act) in the U.S. House of Representatives. The bill would establish a competitive active transportation investment fund to invest in walking and bicycling improvements in communities around the country. If the $2 billion act is passed, the U.S. Department of Transportation will administer a competitive fund, which will invest in communities that best make the case for resources to shift large numbers of trips from driving to walking and bicycling. Want to know more? Here's a fact sheet the national Rails to Trails Conservancy put together on the ACT Act. February was yet another good month for Citylink. The number of bus boardings per month just continues to grow every month, with the exception of a drop in September of 2009. The numbers bounced back though and boardings last month were up by over 1,000 from the previous February on every route but the link route. Here's a look at the numbers. Nearly 2,000 furloughed Department of Transportation employees return to work today, after the U.S. Senate late last night voted to extend the Highway Trust Fund for another 30 days. The transportation bill had expired Sunday at midnight without Senators able to reach a vote to extend it. That meant there was no money for transportation programs, forcing the temporary layoffs. So the big question now is; what will happen over the next 30 days? Will this happen again? We'll be monitoring the situation and will keep you updated. Start saving your change again, analysts say gas prices are going to continue to rise in coming months. They're expecting to see prices hit at least $3 a gallon this spring. I saw this story and thought it was pretty funny, and applicable, as many of our local businesses have gone through similar ordeals. A Twin Falls coffee shop was trying to drum up business that had been decimated by a road construction project they were basically sitting right in the middle of. So, they got creative and posted a big orange sign outside the building that said 'Detour' with smaller letters underneath that said 'to coffee and bagels.' Creative huh? Unfortunately for them though, the Idaho Transportation Department made the business take the sign down, saying it was confusing enough trying to navigate the official detour signs without having an extra thrown in. Here's your chance to ask local legislators those hard transportation questions you keep asking me. Only you may get a real answer out of them. 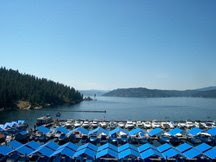 The City of Coeur d’Alene, in partnership with the Panhandle Coalition, will be hosting a Town Hall Meeting this Saturday, March 6th, from 8:30 a.m. to 10:00 a.m., in the Library Community Room, 702 E. Front Avenue. North Idaho Senators John Goedde and Jim Hammond, and Representatives George Sayler, Frank Henderson, and Bob Nonini will be available to talk about and answer questions regarding this year’s legislative session. Other legislators have been invited as well. Everyone is welcome, so come with questions in mind. Can Power Grid Support Popularity Increase Of Electric Cars? Here's something I hadn't thought of: how are electric cars going to affect area power providers in the future? As prices drop, many more people are expected to purchase electric cars in our area. But if everyone plugs them in to recharge when they get home from work at 5:00, is that going to cause a draw on the available electricity? The Spokesman-Review talked to Avista about that in this article.